Biography explores political, religious transitions in priest's life. Published 4/24/2015. Books. "Richard John Neuhaus: A Life in the Public Square" by Randy Boyagoda. Image Books (New York, 2015). 448 pp., $30. Before his death in 2009, Richard John Neuhaus would become a Catholic priest, a public intellectual, a conservative commentator on religious and political affairs, an adviser to President George W. Bush on bioethical matters and the scourge of the American secular left. But, surprisingly, he grew up neither a Catholic nor an American. Neuhaus was born into a large family of eight children in Pembroke, Ontario, and was baptized a Lutheran over the family kitchen sink when he was 12 days old by his father, Clem Neuhaus, a Lutheran pastor in the Missouri Synod. For a man who would be known as an intellectual, Neuhaus was not a particularly gifted or committed student. But he did show an astonishing grasp of theology at a young age. So much so that one Sunday when he could not teach it himself, Neuhaus' father left young Richard in charge of Sunday school, teaching children four years older than himself, at the age of 10. Neuhaus dropped out of high school at the age of 16 to run a gas station in Texas and became a naturalized American citizen. Finding working as a gas jockey unsatisfying and still drawn to theological debate, he attended a small school in Austin, Concordia Lutheran College, which accepted students for both high school and college graduation tracks. From there, he moved onto Concordia Seminary in St. Louis, the Missouri Synod's premier seminary. Neuhaus was influenced deeply by one of the professors, Arthur Carl Piepkorn, who wore Roman collars with a military chaplain's uniform in the classroom. Piepkorn taught that the Lutheran confession was an internal reform within the universal catholic church, not a breakaway theology formulated to create a new denomination. Another student at the seminary, Herman Otten, fought what he saw as the creeping liberalism and heretical teaching infecting the school. Neuhaus would develop a similar suspicion of the liberal agenda that sprang out of the anti-Vietnam protest movement, but not until he had spent years of activism protesting that war. He was ordained a Lutheran minister in 1960 and was pastor at St. John the Evangelist, a predominantly black and Hispanic church in the New York borough of Brooklyn. A few years later he was drawn into the anti-war movement. He was first brought to national attention in the late 1960s when he founded Clergy and Laymen Concerned about Vietnam with Father Daniel Berrigan and Rabbi Abraham Joshua Heschel. Then-Rev. Neuhaus remained active in liberal politics until the Supreme Court's Roe v. Wade ruling in 1973. He opposed the decision and gradually grew apart from the movement he had been committed to in the 1960s. He argued that Protestant denominations had replaced Christian faith with the liberal left agenda. He would struggle throughout the 1970s to find a place within liberal politics and as a Lutheran minister. By the early '80s, he had completed his shift to neoconservatism and, over the course of the decade, moved toward the Catholic Church. He created the Institute on Religion and Democracy, a conservative think tank, in 1981. 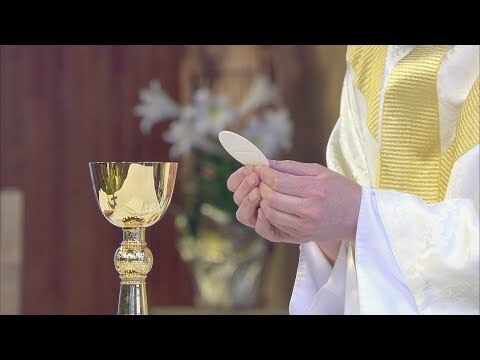 Nine years later, Sept. 8, 1990, he was received into the Catholic Church and he was ordained a priest of the New York Archdiocese by Cardinal John O'Connor a year later. He also founded the Institute on Religion and Public Life and its journal, First Things, in 1991. First Things was an ecumenical journal that sought to advance a religiously directed political philosophy. 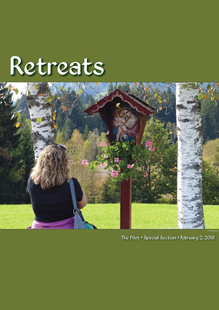 Father Neuhaus became a sought after speaker and wrote prodigiously, pouring out both books and articles for First Things. But in early 1993, he collapsed and spent months in the hospital, nearly dying from cancer. He later wrote a book on his illness and the change in him it had brought about, but he soon resumed his usual relentless, frenetic life of writing and speaking publicly. He served as the commentator for Eternal Word Television Network at the funeral of St. John Paul II and the election of his successor and advised Bush in the mid-1990s. Father Neuhaus died Jan. 8, 2009, after suffering another bout with cancer; his last article for First Things was published posthumously. Father Neuhaus' life was marked with extreme religious and political transitions and he was often accused of being an extremist himself. Clearly, he liked the life of moving with famous and talented and influential, a trait that doesn't necessarily fit well with the life of a Catholic priest. 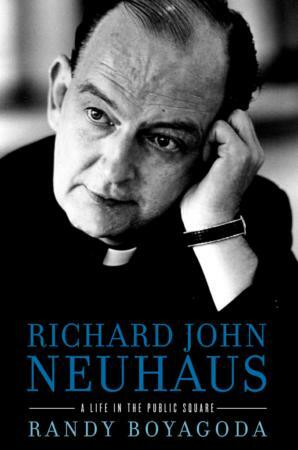 Randy Boyagoda, the author of "Richard John Neuhaus: A Life in the Public Square," attempts to argue that Father Neuhaus was a faithful priest doing the expected duties of a priest when he was in New York. But the whirlwind of national politics and fame seems more his metier and that's where most of the biography focuses its attention. Yearley is a graduate of the Ecumenical Institute at St. Mary's Seminary and University in Baltimore, having earned both a master's degree in theology and a certificate of advanced study.